Mars' Sh'anne Valley, the place of ancient memories, was a sacred place for Martians to pray and shed all regrets telepathically by feeding them to the dragon-like Quonars. Martians even chanted the word Sh'anne repeatedly. Now, J'onn J'onzz is face to face with Albie, who saved him when they were both children. With Jarro, a baby Starro who was in a jar, at his side. J'onn hopes to block their presence from the Quonars. Yet, Albie has poisoned the small creature, leaving them open to an attack from the hungry monsters. Albie and J'onn must run for their lives while facing their pasts. See, Albie taught J'onn that not all humans are bad, and Martian Manhunter hopes to return the favor. Can he do it before they become a Quonar feast? Albie is a codename meaning L-B or L-2 or Luthor Number 2, Alexander "Lex" Luthor. J'onn J'onzz is trying to convince his childhood friend that his plans for Perpetua are utter madness. He also says Lionel Luthor's memories were wiped, making him an alcoholic. J'onn may not have gotten through to Lex, or has he? 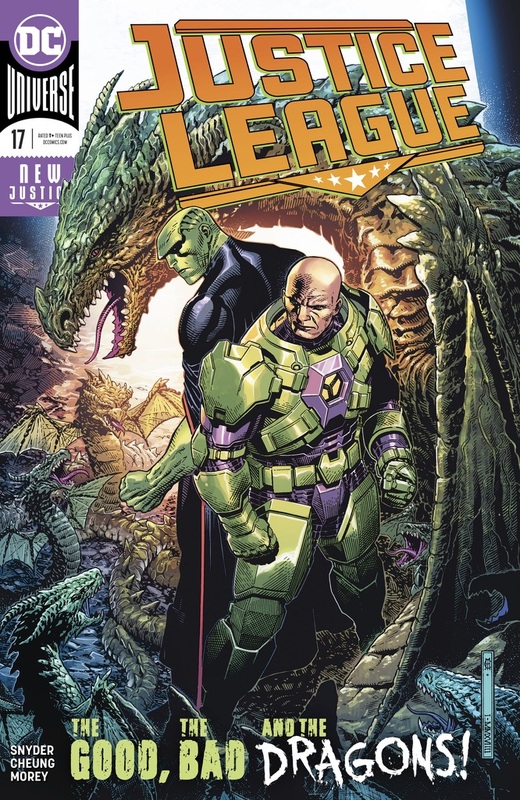 Lex has returned to the Hall of Doom without Martian Manhunter, who is back with the Justice League. Brainiac needed to study J'onn to learn more about Perpetua. Lex has told him there was nothing to learn from the Martian. Luthor returns to his quarters and privately chants Sh'anne to shed whatever regrets he might have. Story - 5: Wow! We have an issue that could possibly top #9 as one of my favorites in the series. While I did see the Luthor twist coming, Scott Snyder has proven to be the master of such twists in comics. Granted he's no Hitchcock or Serling, but few writers are up to their caliber. Snyder has made this title more than a mere superhero book. He's blended genres and provided great character moments, making this series a comic for everyone of every taste. I hope the J'onn J'onzz and Lex Luthor dynamic is explored further. It can really give more depth to stories that are already fully profound. Art - 4: Jim Cheung did better than he's done on most issues in this series. Yet, something looks off on certain panels. I can't put my finger on what it is. Cover Art - 4: This cover suffers from the same problem as the interior art. Cheung does draw an awesome Luthor though. 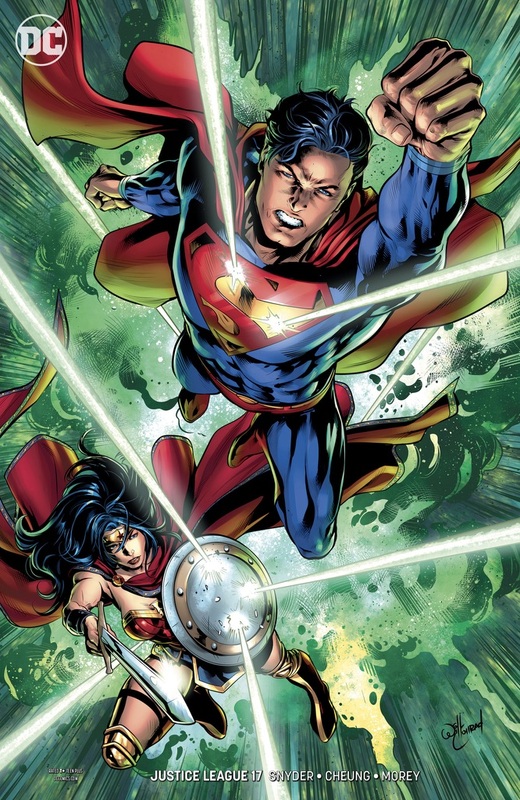 Variant Cover Art - 4: Superman looks a bit too much like Superboy, but the image is still a fine cover.